Public awareness campaigns that link epidemics of obesity and type 2 diabetes to sugar-sweetened beverages is working but working slowly. It’s taken 20 years to cut consumption by just 25%. That might not seem like a very deep cut, given the consequences of overconsumption, but Coca-Cola is feeling the pinch. Coke is working hard to fight back against political and public movements to curb soda consumption. The company has recently launched a non-profit organization it calls the Global Energy Balance Network (GEBN) through which it funnels millions of dollars to scientists who have made names for themselves publishing scientific findings that promote the value of exercise. Scientific research is expensive and most of it is funded by grants from philanthropic sources and from corporate sponsors. The corporate funding has been called into question in recent years due to suspicion of its outcome; one can hardly expect a company like Phillip Morris to fund research that confirms the fact that cigarette smoking is a leading cause of death from lung cancer. Philip Morris would be more likely to fund research proclaiming benefits of smoking. Indeed, it’s done just that, many times during the mid-20th century. Coca-Cola is using the same approach by funding the GEBN to produce scientific evidence that the global obesity/diabetes epidemic is the result of inadequate exercise, not too much of a bad diet. Scientific evidence from studies funded by unbiased sources does point to the value of exercise in maintaining a healthy weight and for weight loss but the overwhelming evidence says eating too much food and drinking too many calorie-rich beverages is the fuel that feeds the obesity epidemic. To lose weight, maintain a healthy weight, and improve one’s health in general, almost everybody benefits more from calorie restriction than from added physical activity. In addition to pouring millions of dollars for unrestricted use into the GEBN and earlier studies by its three top scientists, Coke seems to be hiding. When the GEBN first launched its website, no obvious mention of its financial connection to Coca-Cola was evident on the website but a deeper look into the organization revealed the GEBN website is owned by Coke and Coke is listed as the website administrator. This hidden connection caught the eye of Dr. Yoni Freedhoff, a University of Ottawa obesity expert, who contacted the GEBN to ask about its funding. It was only then that GEBN sources said the absence of funding sources on its website was merely a mistake that was soon corrected. The same sources said Coke’s prominence on its website registry was simply a matter of convenience: Coke knew how to register a website but the GEBN people did not. Popkin says Coke’s message of “same food, more exercise” overlooks the reality of exercise’s limited impact on caloric intake. 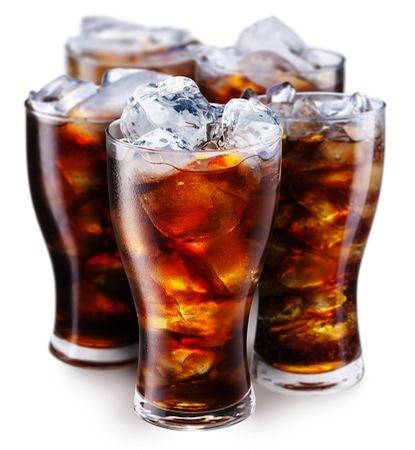 One 12-ounce can of Coke contains 10 teaspoons of added sugar (almost 1.5 ounces) and 140 calories. Popkin says it would take a three-mile walk to offset just one can of Coke but Coke will probably not willingly reveal this particular energy balance. The World Health Organization recommends a maximum of only six teaspoons of added sugar a day. Added sugar is any sugar added to a recipe. The sugar in apples, sweet potatoes, and other whole foods is natural, not added. The sugar in sodas, fruit juices, candy, cookies, sauces, fruit-flavored yogurts, chips, crackers, and any other prepared food is added. It makes no difference if the sugar is added at home while whipping up a recipe in the kitchen or if it’s added at the factory. To gauge legitimacy of any scientific study, look for disclosures, disclaimers, and funding sources alongside the scientific data. Disclosures and disclaimers are required to identify financial links between any researcher involved in the study and the study’s funding sources. Funding sources identify where the research money came from. O'Connor, Anahad. "Well: Coca-Cola Funds Scientists Who Shift Blame for Obesity Away From Bad Diets." The New York Times 10 Aug. 2015: A1. Web. 19 Aug. 2015. "The Nutrition Source: Soft Drinks and Disease." Harvard T.H. Chan School of Public Health. The President and Fellows of Harvard College, n.d. Web. 19 Aug. 2015. Whiteman, Honor. "How Coca-Cola affects your body when you drink it." MNT. Medical News Today, 15 Aug. 2015. Web. 19 Aug. 2015.